I Have M.C. 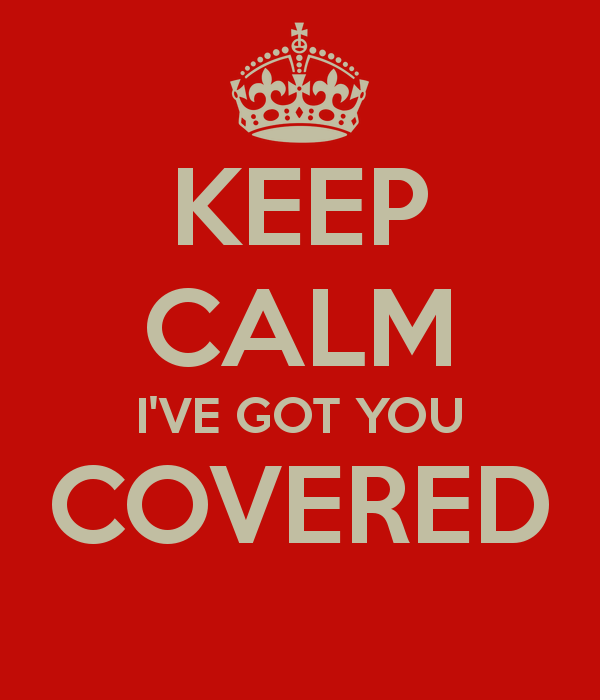 Beaton Covered! I find it interesting how a person's reading tastes can change over time. Many moons ago I used to focus on a lot of historical fiction, literary classics, and non-fiction. Then I picked up Michael Connelly's first Harry Bosch mystery, and I haven't looked back since. I've gone through a lot of different subgenres of crime fiction. Early on, you could almost call cozies my bread and butter. I still read a good number of them now, but not anywhere like I did in years past. This week's book cover post recalls a cozy author that I read quite a bit of back in the day, M.C. Beaton. I read several of her Agatha Raisin and Hamish Macbeth mysteries before I moved on. Why did I move on? Man hungry characters like Agatha Raisin have never been my cup of tea, so the humor there wore thin rather quickly, and once I saw the BBC television adaptations of the Hamish Macbeth books starring Robert Carlyle, I realized that the humor in those had worn thin as well. (Humor is such a subjective thing, isn't it?) When a formula no longer works, it's time to move on. In the world of books, one is never short of something to read! To force myself closer to my original intent, have you ever noticed that the UK doesn't really have "cozies" like the US does? Sounds silly, since the UK is the home of Agatha Christie, but if you look at it from a different perspective, it's the better attitude to take. What the US calls "cozy mysteries" the UK calls "traditional mysteries." A slight difference in terminology helps give this subgenre a lot more respect than it receives in the US. In the US, cozies are considered "lesser," and it's a shame. For crying out loud! I'm really going to have to haul myself back on topic. Give me a hand, would you? Let's take a look at the US and UK covers of one of M.C. Beaton's books. I think you'll be able to see the difference in how each country treats this subgenre just by the cover art. Have you ever seen the cover of a cozy here in the US that has a photographic style? I can't remember one, and I have to admit that I'm going to be lazy and not take the time to search. The cover art of US cozies is almost always wonderful. Bright, colorful, usually a scene that you'd like to walk right in. Death of a Liar is no exception... well, if you ignore the dead body in the lettuce. What I can see of the art is very well done-- but too much of it is obscured by those dark red banners. I keep finding myself trying to peer around them. This is a peekaboo cover, and I like peekaboo covers every bit as much as I "like" seeing the backs of women's heads. The artwork is quite different, isn't it? Much more serious and commanding of respect. Although "painterly," it also has a photographic quality and gives readers a true feel of the Highlands and one of its typical houses. The wording doesn't obscure any of the art. 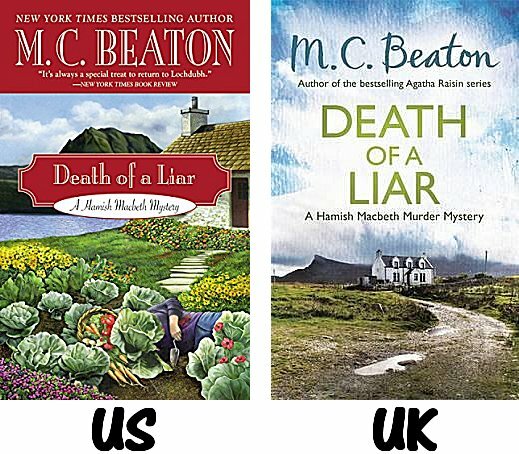 Author name, title, Hamish Macbeth mystery, and-- important for both readers and the marketing department-- "author of the bestselling Agatha Raisin series." Good idea, that. If you like one series, you're likely to try the other if you know that it exists. I think it's rather clear which cover I prefer. The UK one. I may like the colors in the US cover, but those dark red banners really annoy me. The UK cover shouts, "Highlands!" to me, and this is the cover that would catch my eye and force me to pick it up. How about you? Which cover do you prefer? US? UK? Too close to call? Neither one? Inquiring minds would love to know! It is such a clear difference and undoubtedly is because of what you say about 'traditional' mysteries! I think I like the UK one a bit more this time. I never read a lot of the Hamish books, but I read quite a few Agathas. They did get a bit thin after a while. They've adapted Agatha for TV in the UK, and it's interesting to see how they've changed it. At least Agatha isn't so annoying that I paused in my knitting and found something else to watch! There really is a difference between the 'traditional' mystery and the 'cosy' mystery, isn't there, Cathy. And you make an interesting point about the difference between the UK and the US when it comes to that. And about the covers? I like the UK one better; it's less distracting and conveys the atmosphere better, in my opinion. I also think that's there is a subtle indication in the font used for Beaton's name on the UK cover that indicates that it's more lighthearted. Same here. I tire of that trope easily. Plus, Agatha is not the brightest, and after a while, I just had to put these down. Yup. As I said...it's not as though there's nothing else to read in this world. As much as I agree with you on the red banners, I would still go with the American cover. Michael Connelly is a master. If I pick up one of his Harry Bosch books, I know nothing will get done around me until I finish. I read several posts at once, and someone said Michael Connelly got them hooked on mysteries. Obviously it wasn't you. I knew it wasn't this book cover post but I thought it was a recent blog. Oh well. It isn't a very spooky Twilight Zone at least. Initially, I liked both of them but thought the U.S. cover too busy, too much in the picture. And the British cover seems to lead the reader up the road right into the old house. That's exactly right, Kathy. I want to walk up that road and knock on the door. Michael Connelly's books? Yes, they just involve a reader from start to finish. My problem is there are so many books to read and not enough time. Cozies aren't my cup of tea, but there is so much else to read. I have no idea. I'm flummoxed at the comparison.